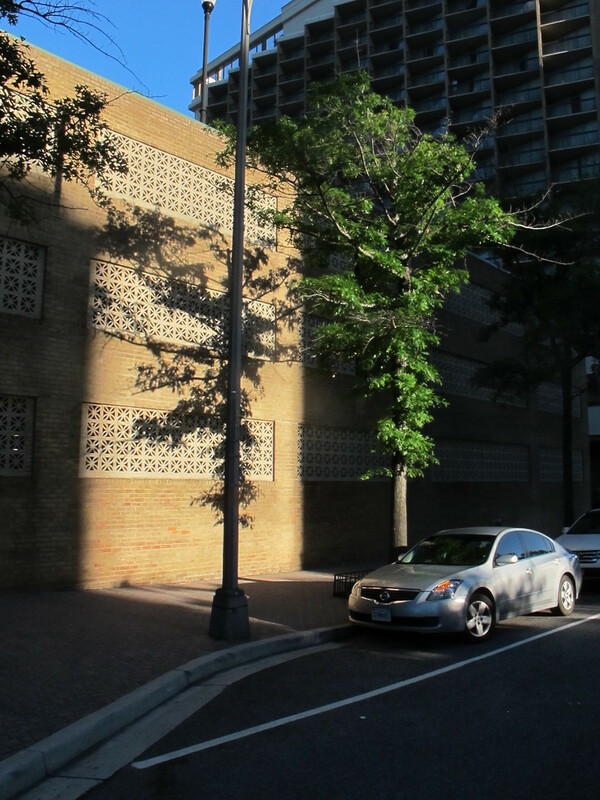 The location was in Rosslyn, Virginia at an early enough time on a Saturday morning to allow some shots from the street. The "Take It!" came from yet another shadow placed with unusual intensity, this time of a tree. 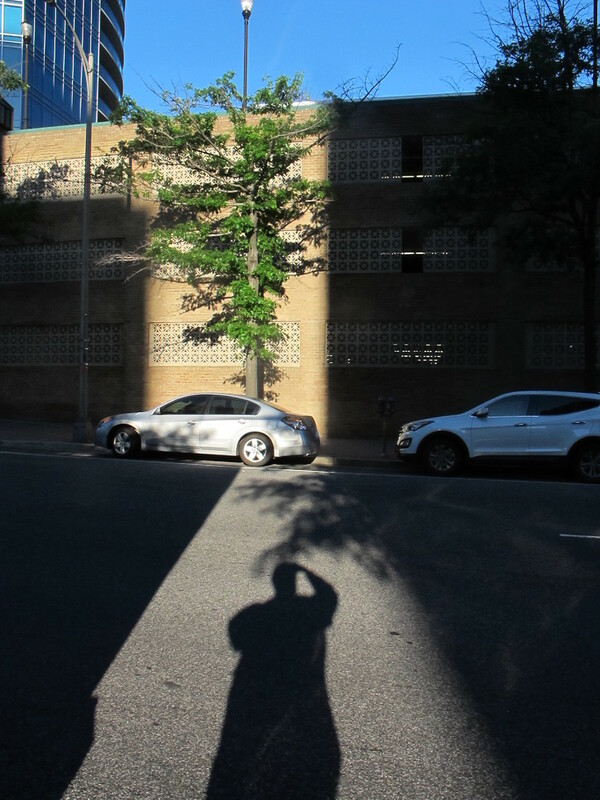 As you can see I had some fun with knowingly setting up a shadow selfie, Then taking several other shots to feature the tree in the illuminated window on the wall formed by the sun passing through a space between two buildings across the street. 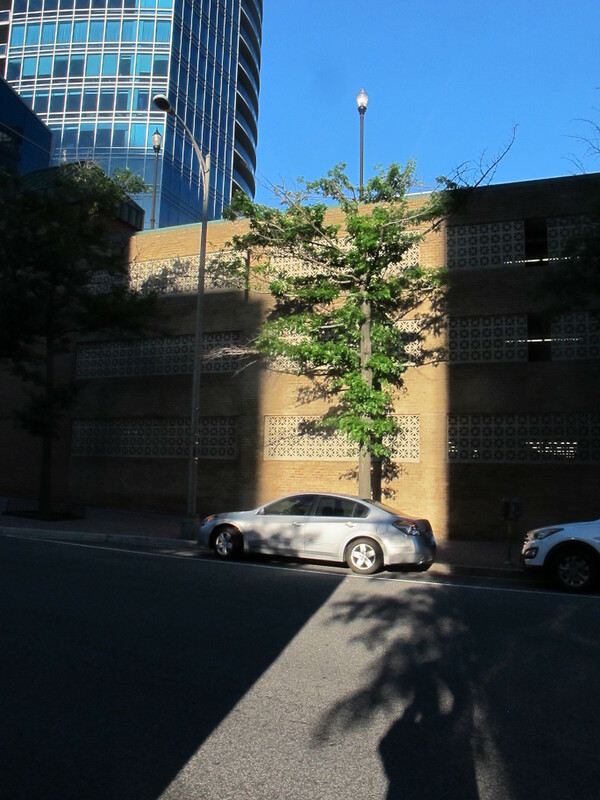 In the attempt to just feature the tree - I just seemed to not be able to rid the image of the light pole. 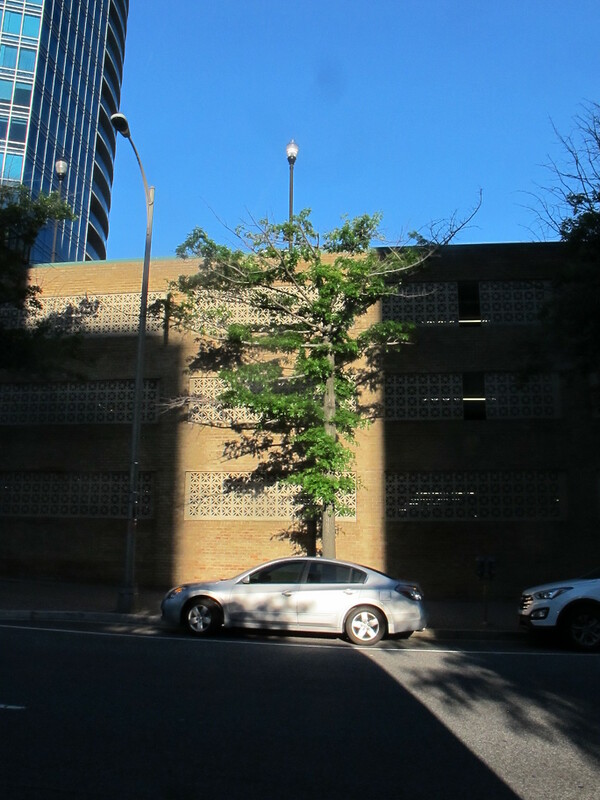 I decided to see if I could line up the light pole with the shadow of the trunk of the tree and amazingly enough - it worked - lol. The After Take: This was frustration turned into fun. It is great to be able to take the time to visually explore and move to find what is offered at the time of the shoot. With luck one sometimes is rewarded and at other times it just does not work out and the shots are not able to be used for display. I have to say even if the shoot is not display worthy - there are always lessons to be learned. Here is hoping you are able to sometimes be up and about at that early time in the morning when the sun is giving its early show which is quite different than the late show. It looks like it's just coming from the roof. very strange looking tree.... wonder what it is. At first I thought it was a fake tree built around or as the light pole. The other angle photo proved that wrong, what a cool plant though!